If you follow me on Instagram you'll know I have just had Sarah and Aimee stay with me for the last 10 days and we have had an epic eating journey. 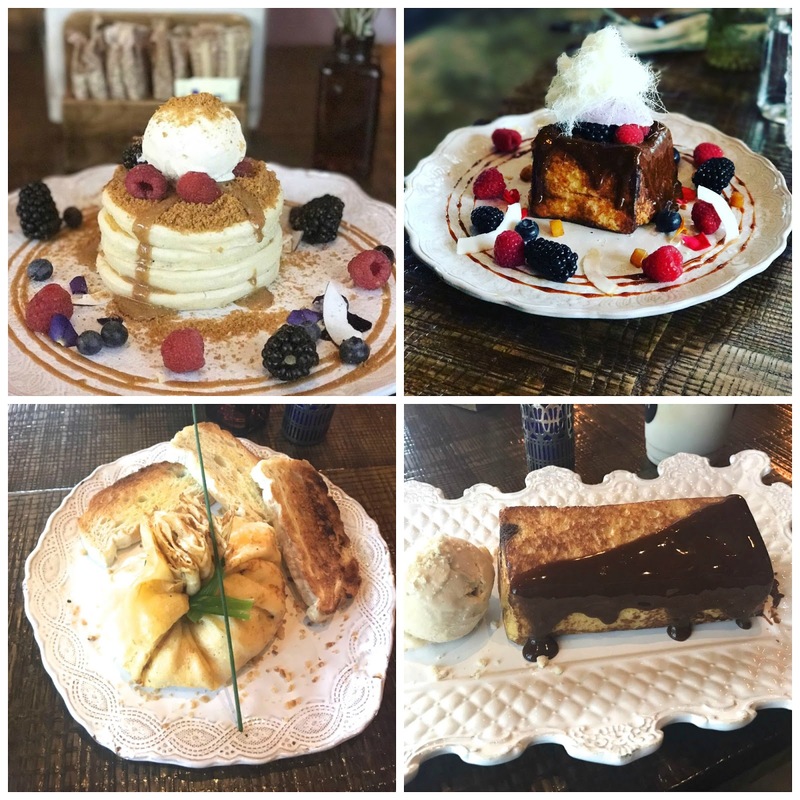 Today I'm sharing where we went and what we ate in one big post and giving you my personal recommendations. 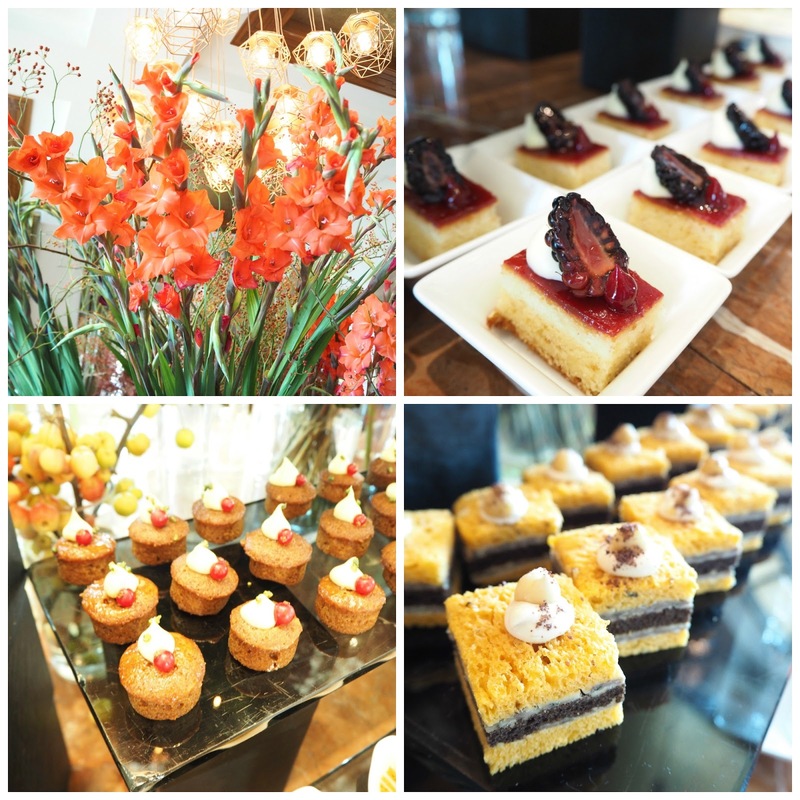 If you love food as much as I do and are visiting Dubai I hope this will be helpful! 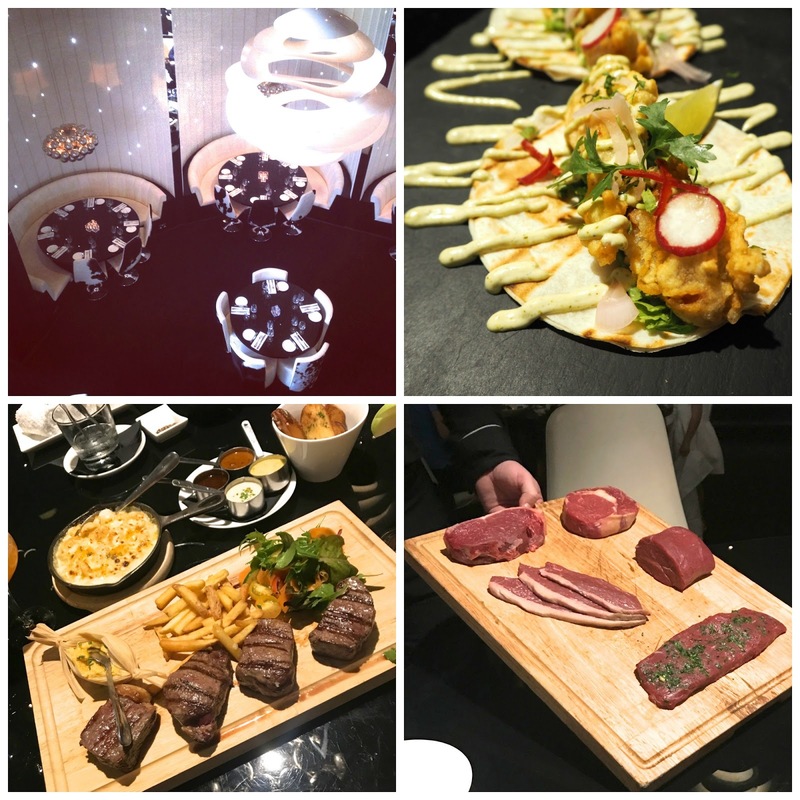 Gaucho has a really special place in my heart-I love the brand and have been to their restaurants in London, Manchester and I swear my heart skipped a beat when I found out they were opening in Dubai a few years ago-next to my office! 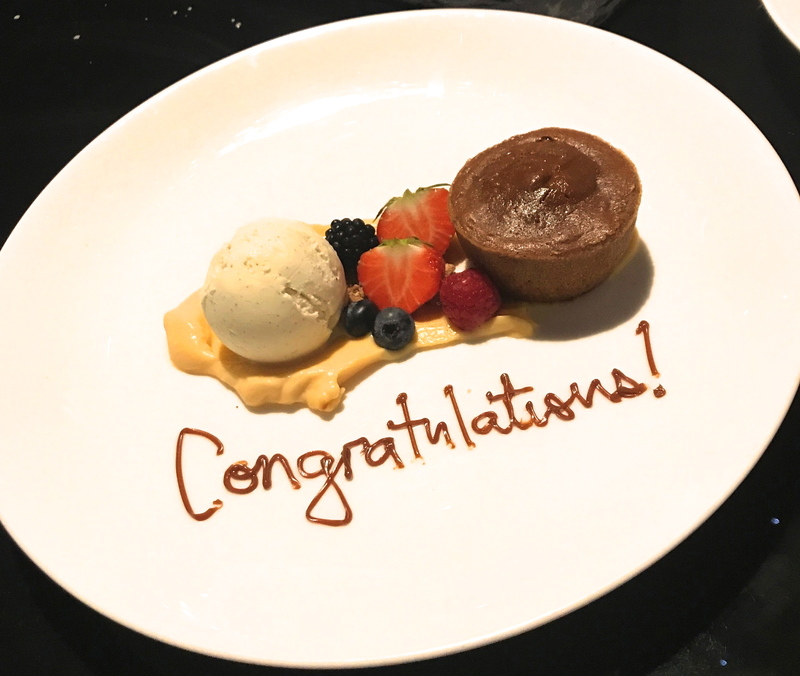 We went to Gaucho to celebrate my third anniversary of being in remission from cervical cancer and we had the warmest welcome, the most amazing food and the best service. 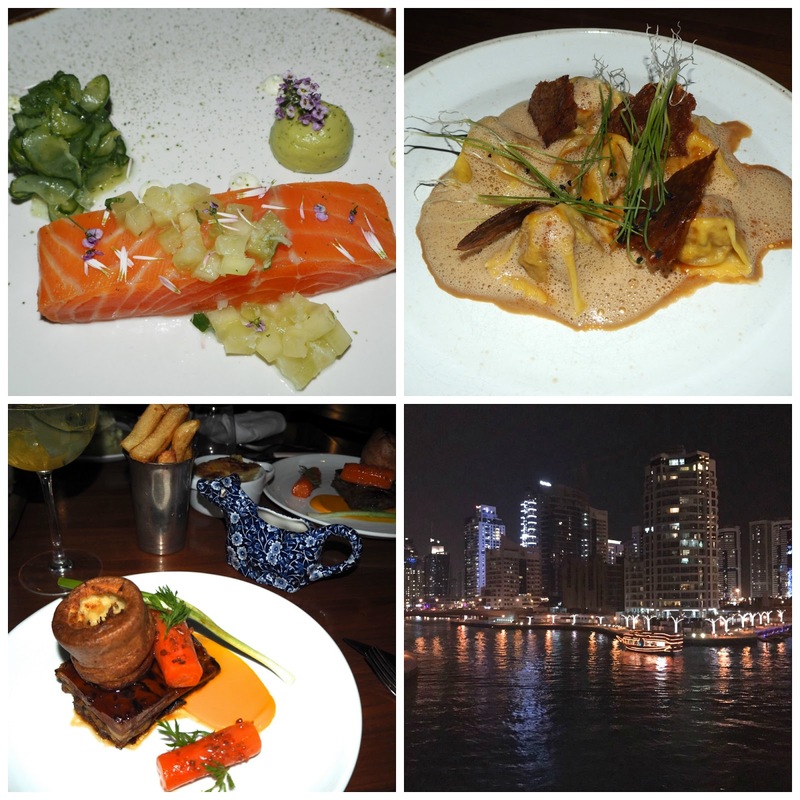 I do visit Gaucho in DIFC quite a lot and every single time I am blown away. Danny the General Manager is an incredible ambassador for the brand and has such a passion for his role-every time I go he always takes time to say hello, recommend new dishes, cater for my vegetarian friend and ensure our experience is flawless. 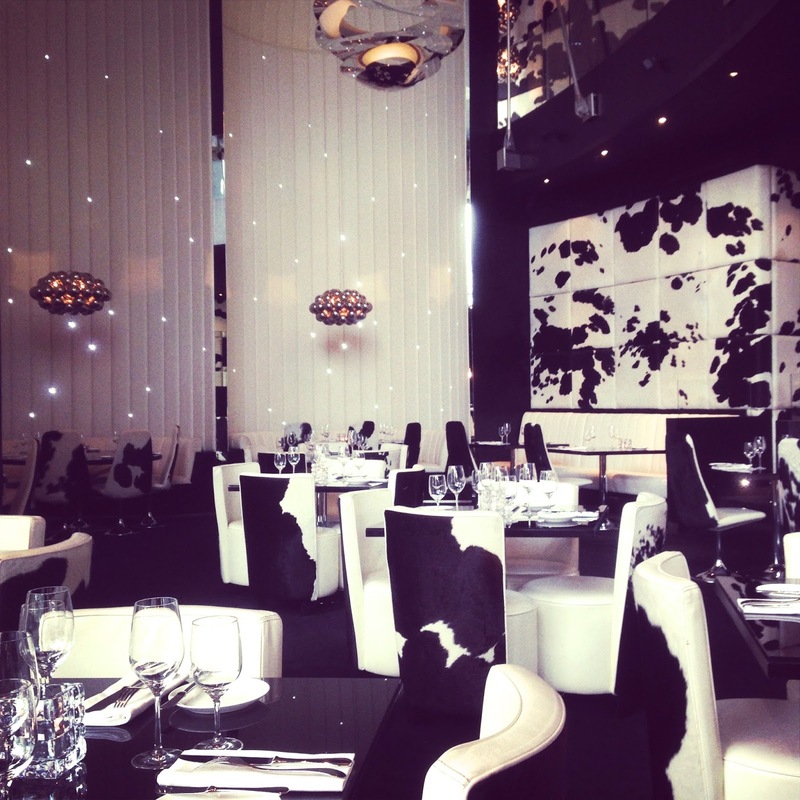 Gaucho has a consistent theme across all their restaurants-I love the sleek monochrome and cowhide and that no matter which Gaucho I am in (my favourite in London is Swallow Street), it always feels lavish yet intimate. We went to the new #MeatMeMondays where you get 100g each of their rump, sirloin, fillet and rib eye steaks with a variety of marinades and sauces, their amazing thin cut chips, salad and signature Humita for AED250 or AED395 inclusive of half a bottle of grape. Sarah is pescatarian and she was really well catered for with the seafood and vegetarian options. The food was exceptional again and I enjoyed every second! And did I mention the cheesecake is insane?! 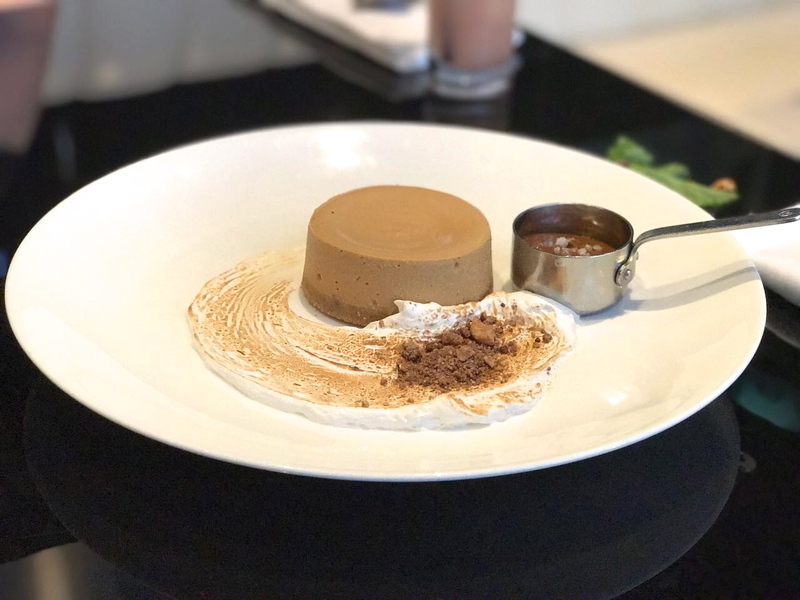 I spoke about Coya in my July monthly round up post and this was my 4th visit to the very popular South American restaurant at the Four Seasons restaurant village. This is an excellent choice for vegetarians, the menu is plentiful and there is even a vegetarian tasting menu. The tasting menus they offer are an excellent way to explore a variety of their food for a fixed price. The menu is vast and actually quite confusing but get a good server and they'll help you navigate round the options. That's one problem I have found with Coya-the first time I went the service was incredible and we were blown away, the second and third times the service was pretty patchy and this time the service was a bit mixed-we had about 5 different people at the table throughout the night, two were excellent (one told Aimee he loved her accent lol) but the others were a bit dismissive. This restaurant is always very busy and very lively-it has a terrace and a bar and in the winter you can dine al fresco. 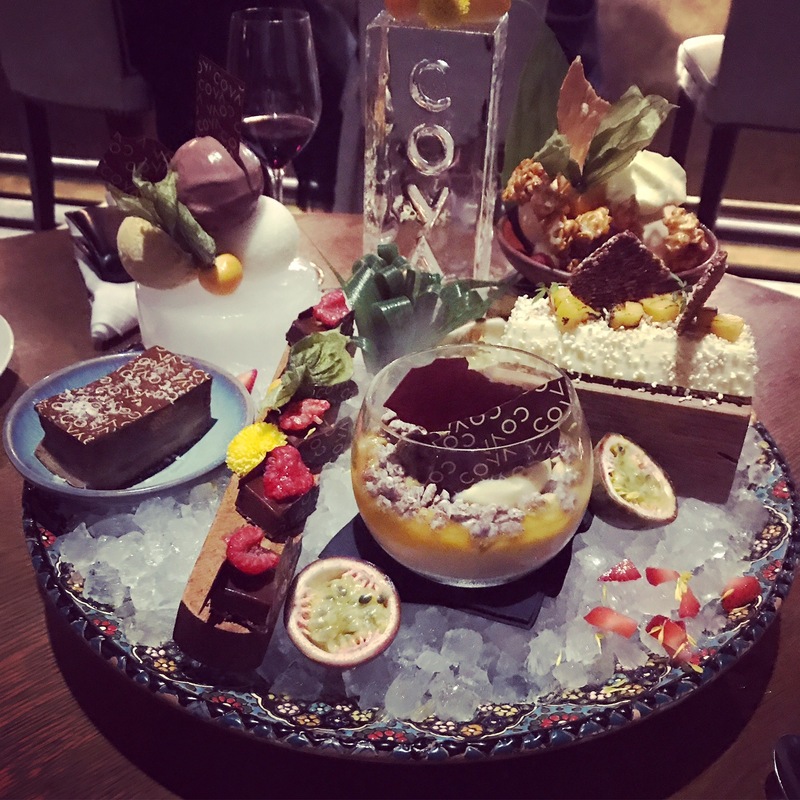 Coya offers a Friday brunch which I am dying to try...it's definitely on my list. 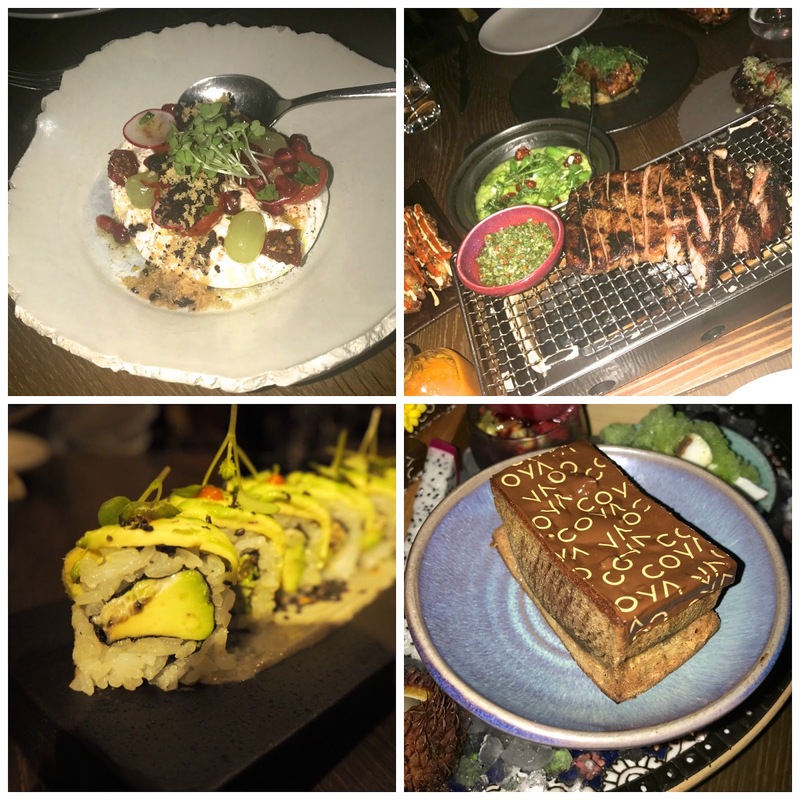 I never get bored of Coya, they switch up the menu quite a lot and every time I have been I've tried new dishes as well as some of my favourite staples. 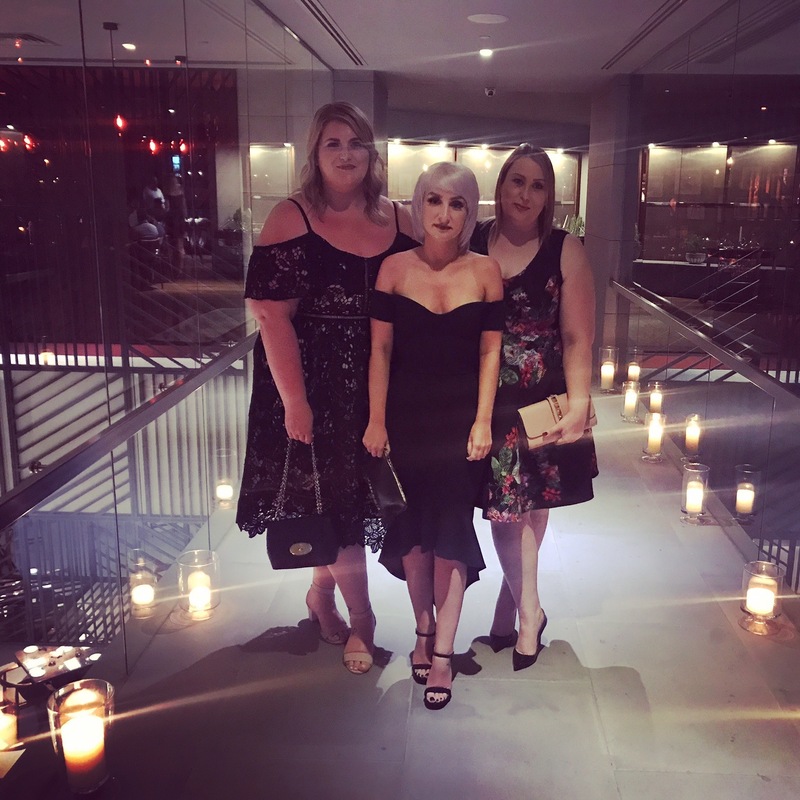 This was the second time Sarah and Aimee have been to Marina Social, we all loved it the first time we went and were eager for a rematch! It did not disappoint in any way-amazing food, great service and a prosecco cocktail that was to die for. Marina Social has an incredible setting-from the candlelit bridge leading to the restaurant to the sweeping marina views on the terrace, this is a restaurant that is great for any occasion and they have many offers throughout the week which I would highly recommend you check out. We starved all day and had 5 courses-a 'snack' course, a starter, a pasta course, a main and then dessert. And the dinner was finished off with a traditional sweet trolley where we were served a mini macaroon, mini chocolate brownie, mini bakewell tart, mandarin jelly and a raspberry marshmallow which is a really cute little touch but a bit inconsistent-I've been to Marina Social around 10 times this year and only twice have I been served the dessert trolley at the end. Marina Social does a lovely Friday brunch-it's not as full on as the buffet style brunches but a great place to go with close friends and visiting parents-it's still quite dressy but has a more casual feel. They also offer various tasting menus-it's worth asking in the restaurant about the options. Their Social Club on Monday and Tuesday was an amazing offer of unlimited starters and desserts and one main and they had alcoholic and non alcohol inclusive packages-but I haven't noticed that they have changed the format and it's now a three course fixed price menu, again with alcoholic and non alcohol inclusive packages. They also do 'Wellington Wednesdays' and a Saturday Roast. Drink-The Sptitzumber-prosecco, cucumber, elderflower syrup and sweet vermouth-so so good! Do-Take a photo on the bridge and check out the views from the terrace. 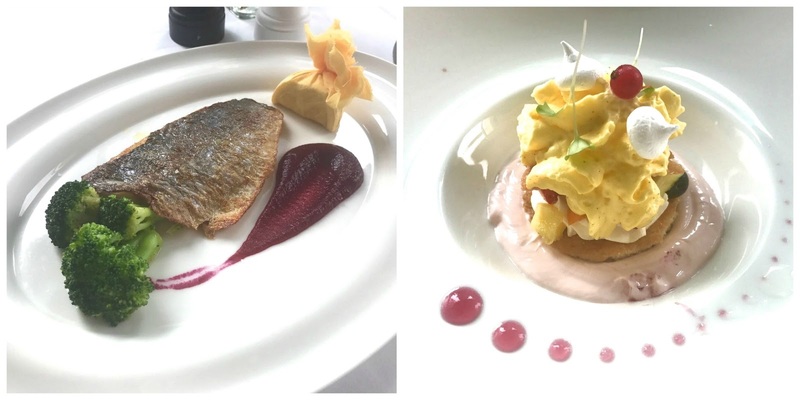 I've spoken about Cocoa Room before on my blog-I actually really like the food but the service is shocking and it's a very strange concept-it only operates as Cocoa Room until 11.30 before turning into Slider Station. They have a huge menu of sweet and savoury dishes so something for everyone. I've done a full review on my blog here. Sarah and Aimee went here whilst I being very busy, doing very important things in the office. They were going to go to Common Grounds in MOE but they found the menu had changed significantly and it no longer floated their boat. 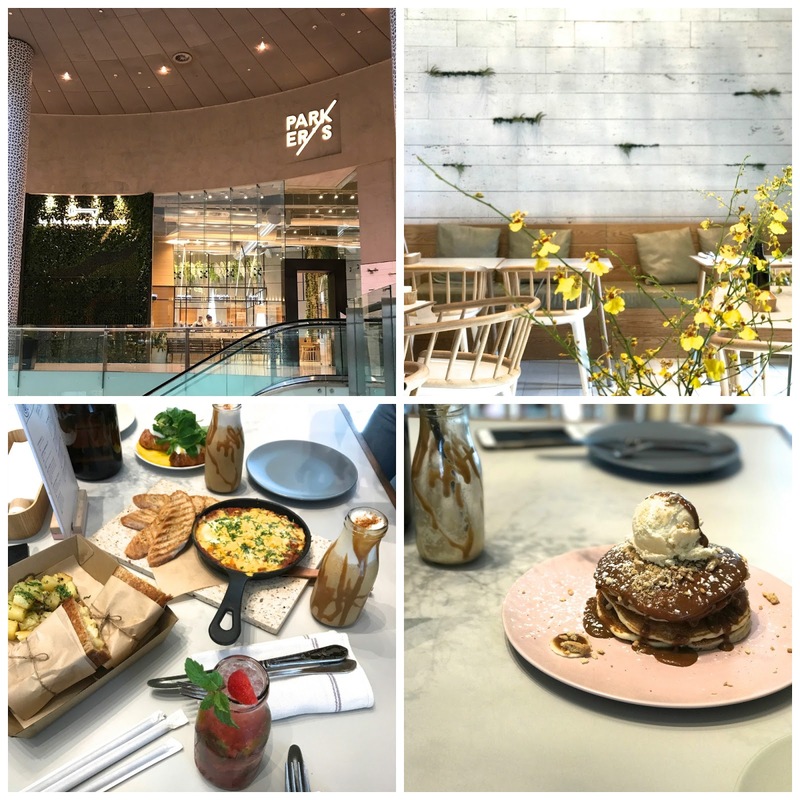 Our final breakfast of the trip was at Parkers in Dubai Mall, a really light and airy space with excellent attention to detail. From the same people who brought Find Salt, Parkers is quite quirky but with a homely, welcoming feel. We went for breakfast but Parkers is open all day-I need to go and try their dinner options. The food is similar in style to Cocoa Room-plenty of egg dishes and the pancakes and waffles are insane. The staff are pretty friendly and accommodating of changes to dishes-I really wanted the grilled mac and cheese (because mac and cheese mmmmmm) but without the poached egg and the sirancha sauce-this was no problem at all. I'll definitely be back! Eat-Sarah and Aimee said the shakshuka was one of the best they'd ever had, Mrs Parkers Babkha was insane. 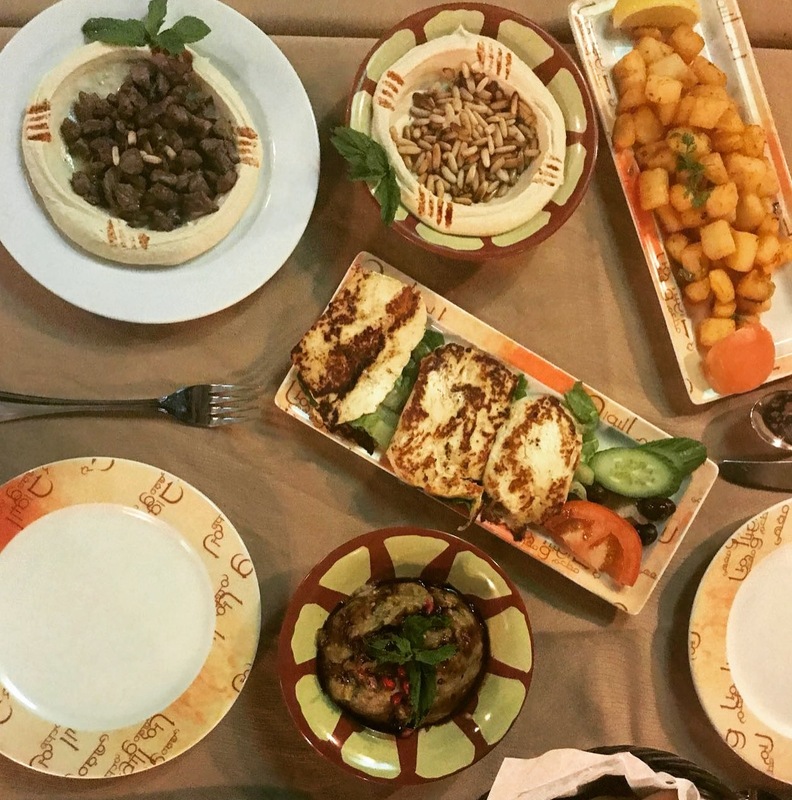 Reem Al Bawadi is one of the places I love to take visitors-it's not a tourist place, it's where residents go and is hugely popular. 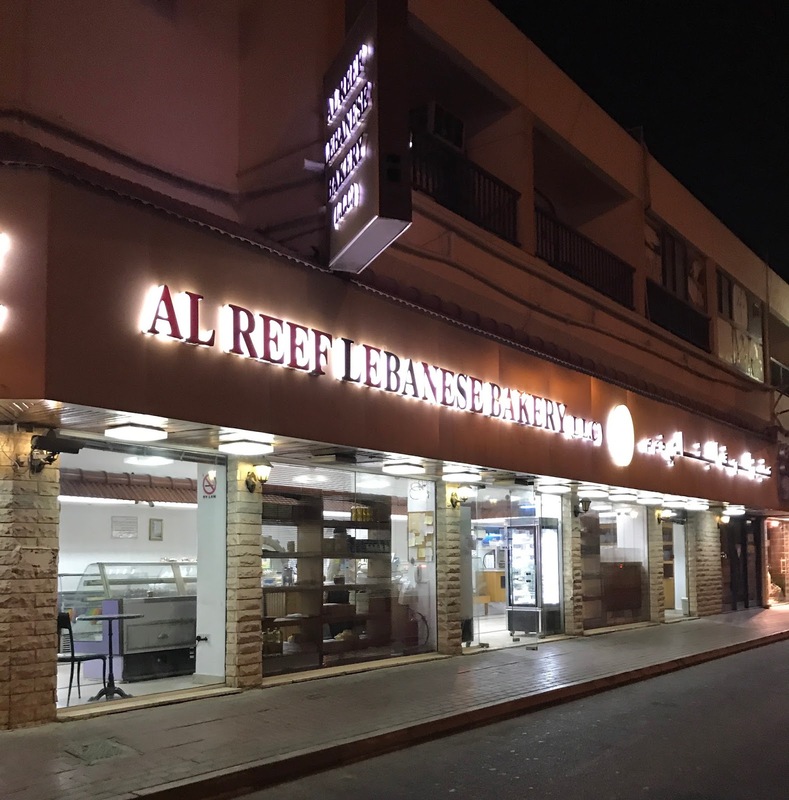 Although Reem now have restaurants across Dubai, the beach road one is the original and the best and it's actually situated on the site where I had my first job in Dubai so has been somewhere I have been going for 12 years! Service can be a bit hit and miss, you either get someone really good or really bad-we were lucky and got someone really good. The restaurant is absolutely huge and I recommend sitting in the 'smoking' area even if you don't smoke as it's busier and has a better atmosphere. Home Bakery has supplied numerous birthday cakes to my office, they do the most amazing, decadent celebration cakes which can be collected from the store or delivered. But they also have a small, busy bakery in Galleria Mall where you can try not only their cakes but their dessert menu also. We went at 9pm and managed to grab a table outside but the wait times can be long here and the service chaotic. 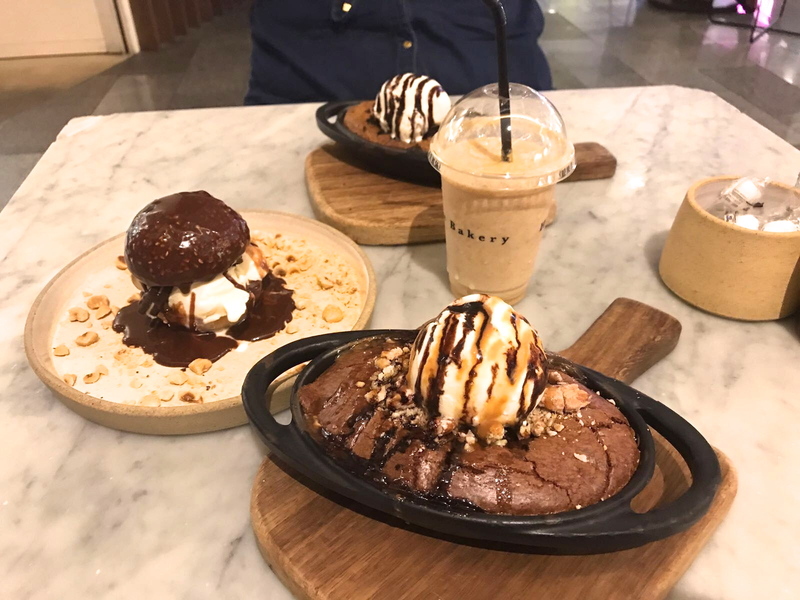 The desserts are generally all on the heavier side-we had the sizzling brownie, the sizzling chocolate chip cookie and the brioche 'burger' and then rolled back to the car in a sugar coma. Eat-The chewy melt cookies are insanely addictive. The warm sizzling brownie is also amazing. Another amazing restaurant right outside the front door of my office-Roberto's is perfect for lunch and dinner. Inside there's a restaurant, a lounge and a terrace with beautiful views of the Burj Khalifa. Definitely one of the classiest restaurants in Dubai and always busy which is testament to it's great reputation. It's light and airy inside with starched white tableclothes and beautiful floral displays. It has an excellent business lunch and a smart but not formal vibe. 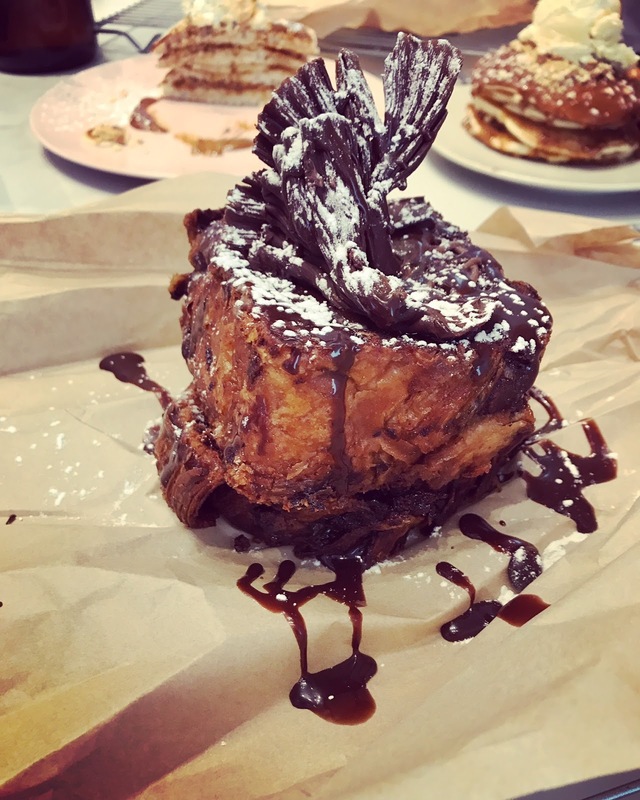 I've also heard amazing things about their Friday brunch and it's definitely another on my 'to do' list. My one criticism of the restaurant is that the tables for two are very close together-if you need to have a discreet conversation then choose your table wisely. If you work in the DIFC as I do, you're bound to see someone in there you know at lunchtime! Eat-Caprino for starter-goats cheese with beetroot and caramalised walnuts, the burrata ravioli for main and La Mela-the warm fresh apple tart for dessert. 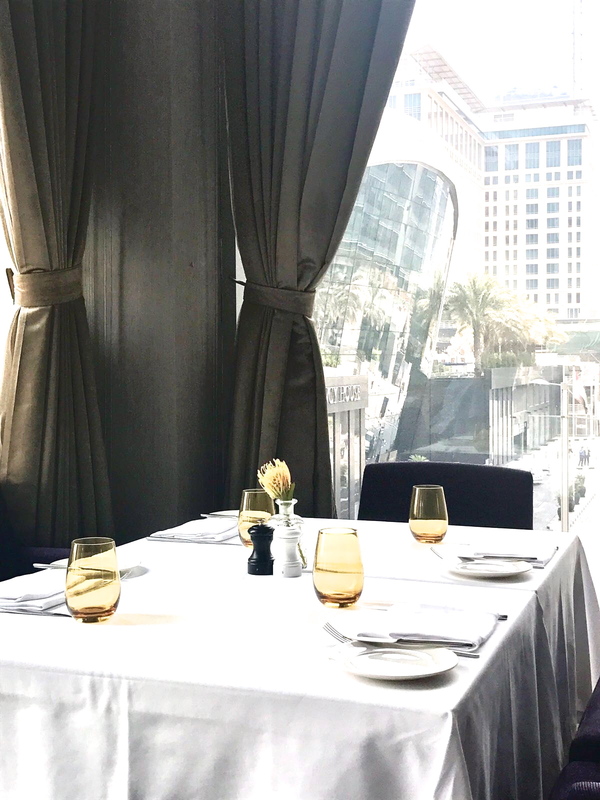 Do-Admire the twinkling Burj Khalifa through the floor to ceiling windows in the restaurant, try the business lunch for a more cost effective way to sample the menu. Not somewhere you're likely to see recommended on trip advisor but if you want cheese manakish (essentially a piping hot spongy flatbread filled with gooey melted halloumi) this is the best in town and I've been going for 12 years. Everyone who visits me gets taken to this 24 hour takeaway place-usually as soon as they land as it's the perfect post-flight meal. Over the last 12 years I've eaten their manakish for breakfast, lunch and dinner and it's only been a good night out if you end up in Al Reef! I like to think of it as the Dubai equivalent of the UK kebab shop post a night out on the town. 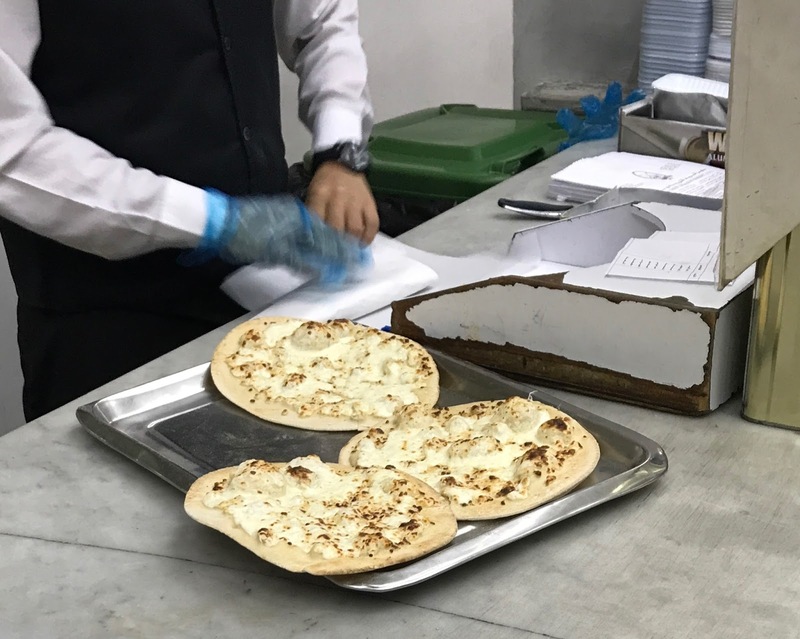 They offer all kinds of fillings in their manakish but the plain cheese and the cheese and zataar are by far their best sellers. 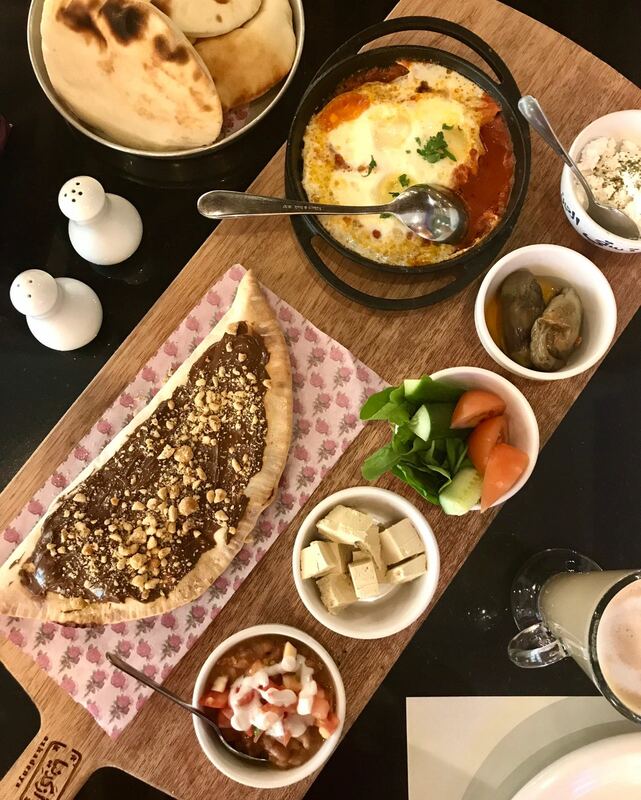 The concept of Friday brunch in Dubai is really difficult to explain to someone who has never been before and in all honesty they take several different guises in Dubai. The basic concept is that for a fixed price you can, over a set period eat and drink as much as you like-most brunches will offer a package including soft drinks and a package including alcohol plus a package including free flowing champagne-you can check the brand with the hotel but LP and Moet are common. 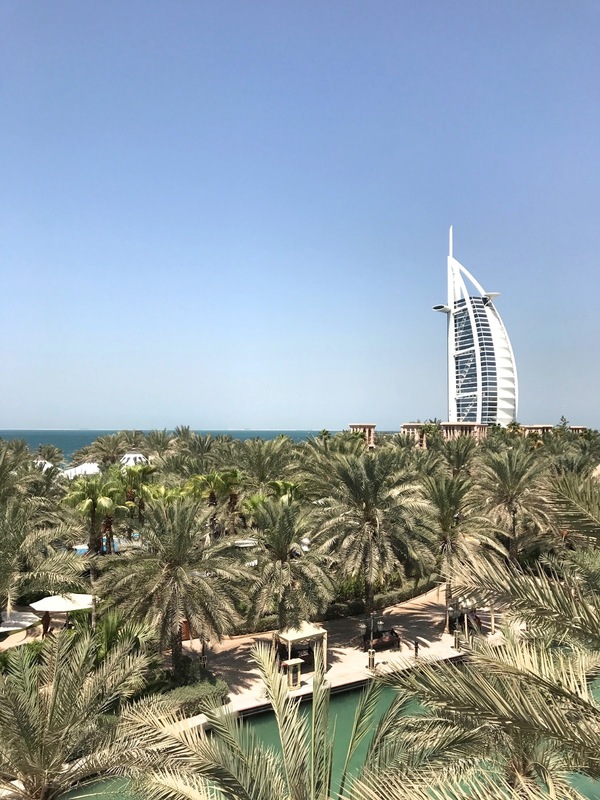 What varies is the size of the brunch-the two we went to are two of the largest brunches in Dubai-both are spread over three restaurants (all in walking distance don't worry) giving you an infinite array of options. It's definitely something I would highly recommend if you love food and have the budget for it and it needs to be seen to be believed! 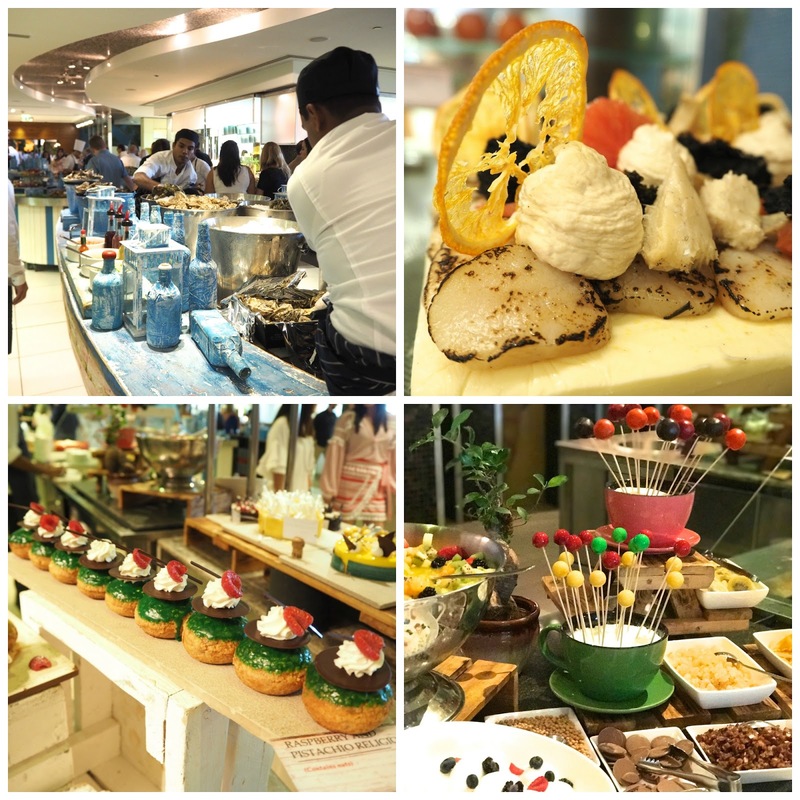 You can expect fresh seafood, sushi, live cooking stations, every cuisine you can think of, salads, cheese tables, a crazy amount of desserts, roasted meats, dim sum, drinks stations and live entertainment. 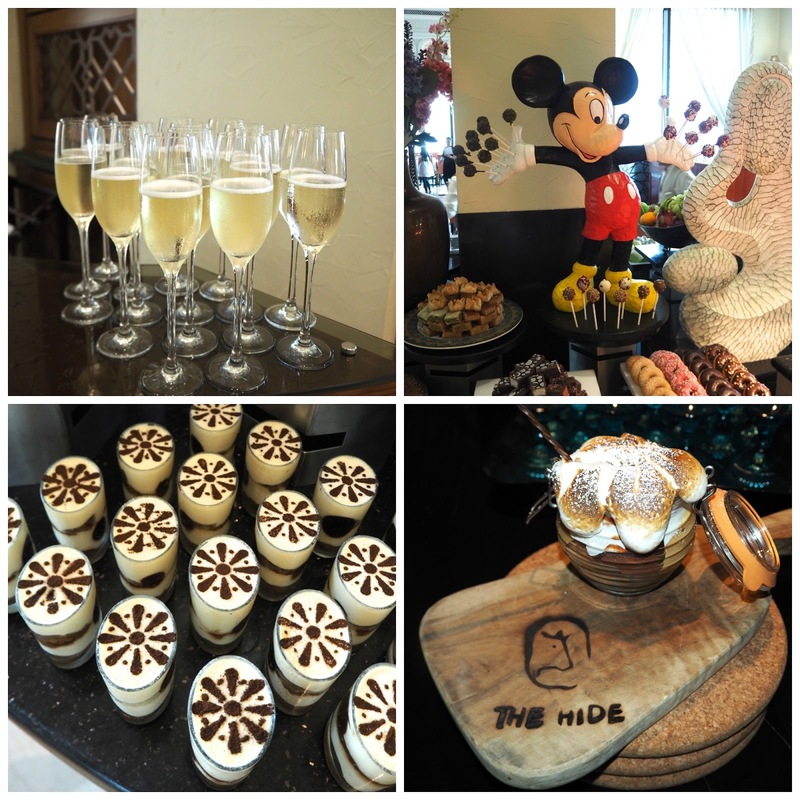 The alcohol packages also include beer, wine, cocktails and soft drinks. My personal favourite-just look at the setting! The alcohol package also includes beer, wine, cocktails and soft drinks. 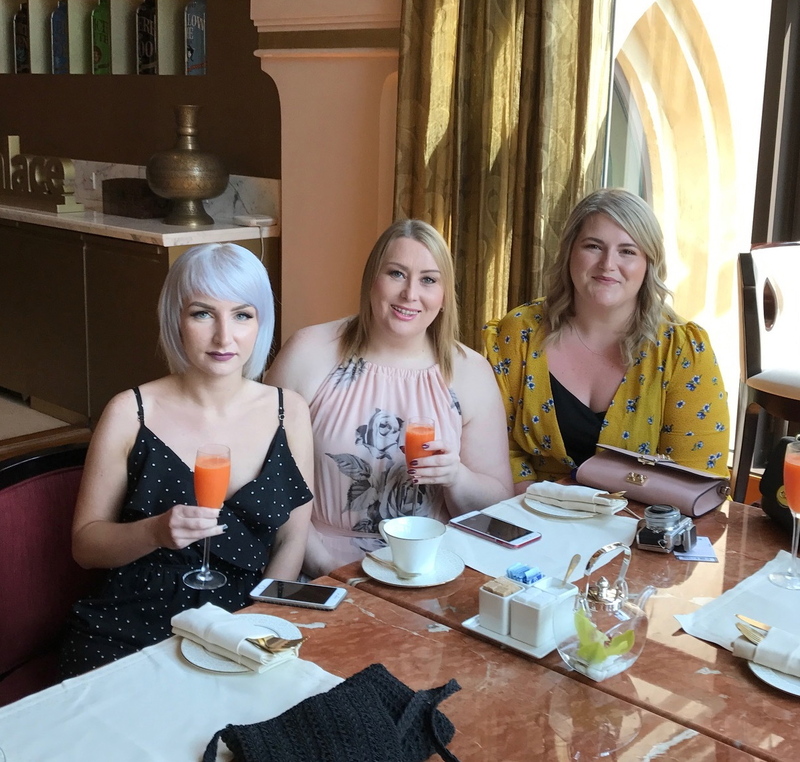 Absolutely one of the best afternoon tea's in Dubai-this was Sarah and Aimee's second visit to Al Bayt and my umpteenth! I've reviewed this on my blog twice before-you can read detailed reviews here and here. Each month they change the theme slightly and Septembers theme was distinctly autumnal. 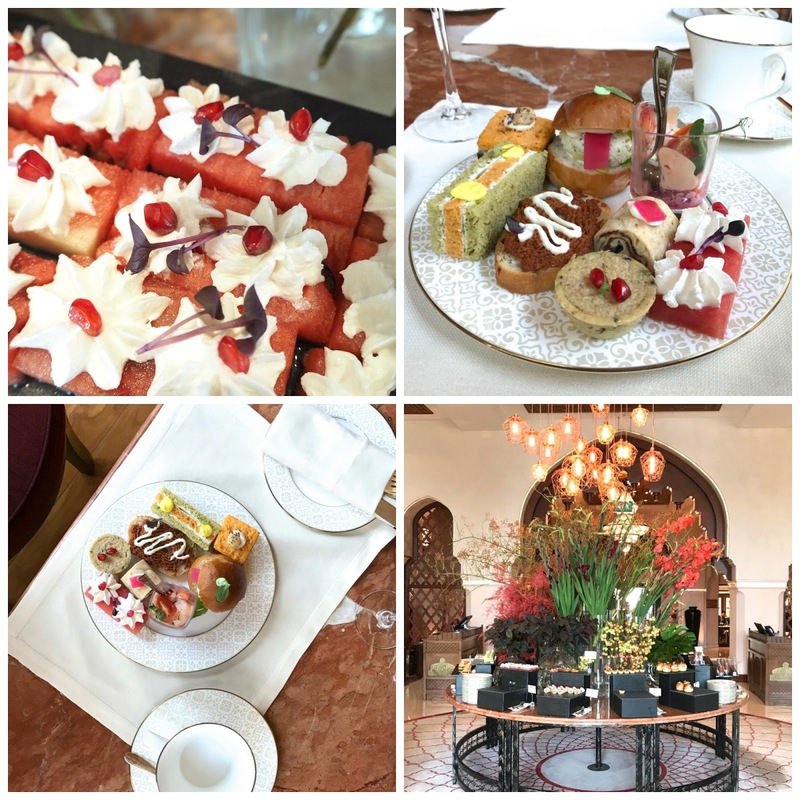 Afternoon tea is served in the tea lounge and pretty dresses are the order of the day. The terrace has an incredible view of the Burj Khalifa and the Dubai Opera and there is usually a harpist. Check out Aimee's blog here and her instagram here. 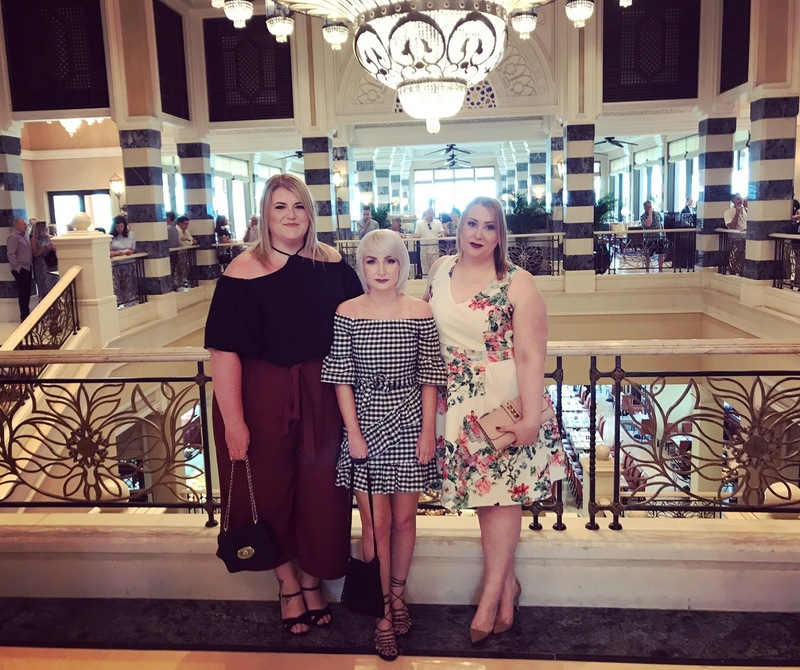 I hope this post provides some motivation if you're visiting Dubai-I know I have enjoyed Sarah and Aimee's visit immensely and we're already planning their third trip! But now you'll need to excuse me whilst I detox and check myself into rehab to recover!